Samu and Thierry, unhappy students at the Seminary of the Marist Fathers of Quebec, dream of escaping to the bright colors and warmth of California. Samu wants to leave immediately, but Thierry, less bold, delays. When Samu stabs his father in a heated argument, the two classmates flee in the night. 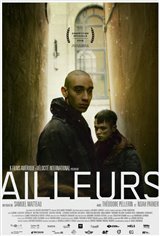 Their journey leads them through the alleyways of old Quebec where La Belette, a young junkie at loggerheads with his dealer, takes them under his wing and brings them back to his squat. But the arrival of the two teenagers is not met kindly by Wolf, one of the four other squatters in the concrete structure by the highway. And for good reason: the two runaways are now being sought by the police.